Christmas is over, but I'm still enjoying my time at home (unfortunately Scott is holding down the fort in Chicago and working this week). It's been a whirlwind of food, sleep, wine, gifts, movies, and snuggling (or as some may say, "lovefesting"). We just like hanging out together around here. Which brings me to the subject of this post... book club. About a week ago, three of us met up at a cute little coffeehouse near DePaul's Lincoln Park campus called the Bourgeois Pig Cafe. We usually meet at someone's home, but this month was E's turn to host, and since she just arrived back in the US after her time in Africa and will soon head to Mexico for a few months, we met at the cafe. Good news... it was cozy and the food was delicious. There was a major car accident right outside (complete with a car driven into a building, yellow police tape, lots of car pieces on the road, and people filling out police reports), but we scooted inside and ordered a bite to eat. Sitting upstairs around a wooden table, surrounded by vintage couches and bookshelves, it kind of felt like someone's house. We caught up on E's time in Africa, classes and finals, holiday plans, and of course, The History of Love. The novel moves between various characters and centers around the origin of a (fictional) book called The History of Love (hence, the novel's title). E had just read it for a second time, so we talked through a few points of confusion and the ending (I'm not going into detail and ruining it!). I loved the parts that were written as "excerpts" from the book, all philosophical and poetic, as well as the unique characters and interwoven storylines. At times, I was a little confused, but a quick peek back to a previous chapter or two would usually straighten things out. The three of us talked until the cafe was closing down and we all headed home in the dark, messy mist. 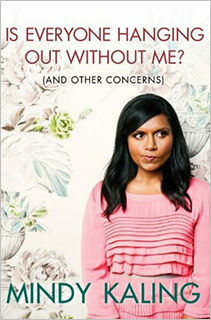 Next month, we are lightening the mood with Mindy Kaling's new book, Is Everyone Hanging Out Without Me? (And Other Concerns). 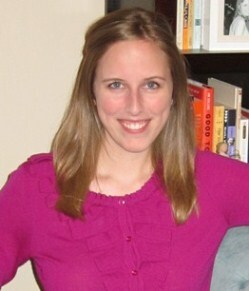 You may recognize Mindy from the TV show "The Office," so it should be fun (and funny!) to get to know her a little better. Yes, there are lots of comparisons to Tina Fey's Bossypants, but during this time of year with all the pressure of New Year's resolutions and the harsh re-entry into "real life" after sleeping and eating constantly for a couple weeks straight, I plan to sit back and enjoy this book. I like all your posts. but definitely if you live in India or Sri Lanka.